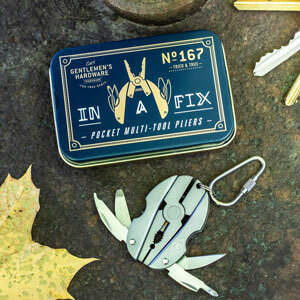 The Hammer Multi-Tool has some brilliant bonus tricks! 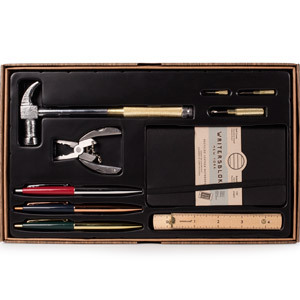 It features a claw hammer, pliers, screwdriver, bottle opener, knife, serrated knife and wire cutters all tucked in as invaluable extras. 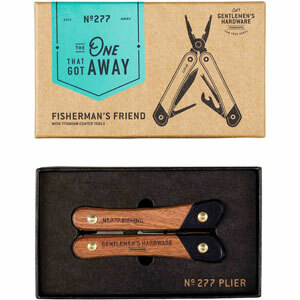 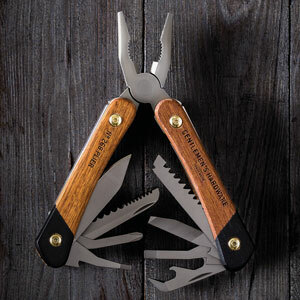 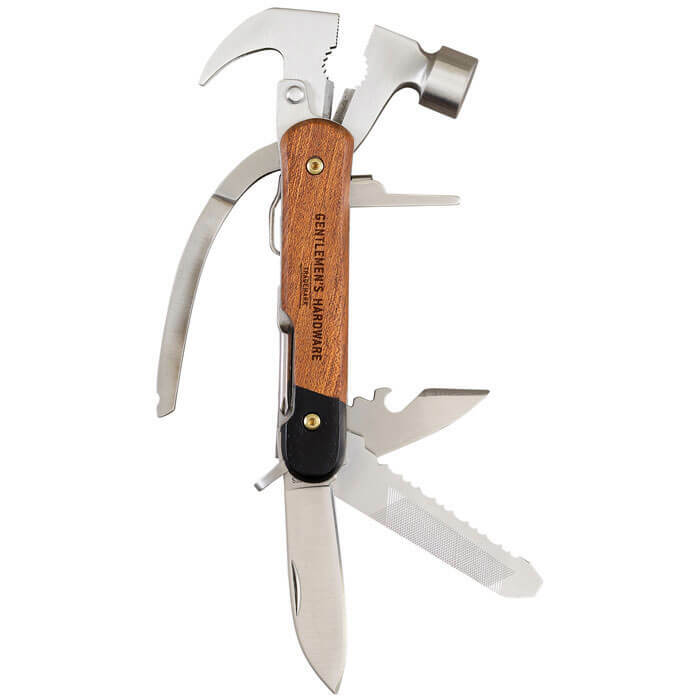 The multiple stainless steel tools fold out from the smooth branded acacia wood handles. 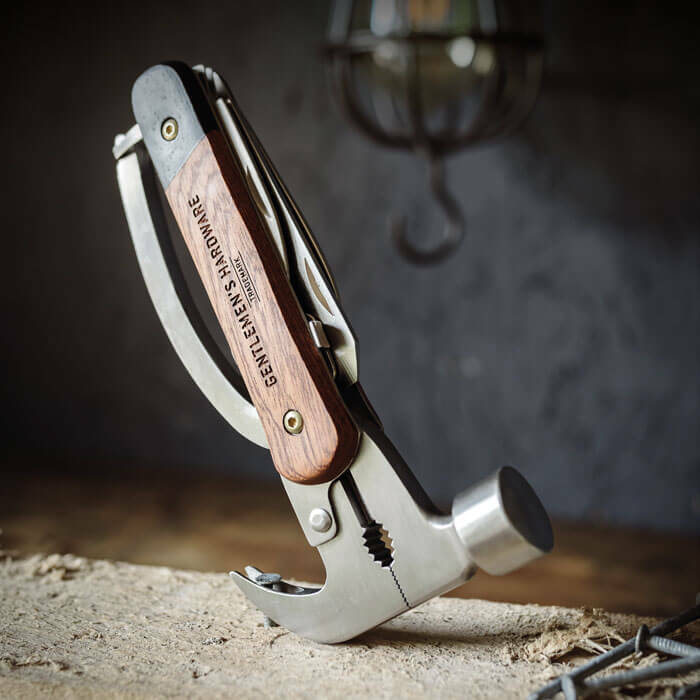 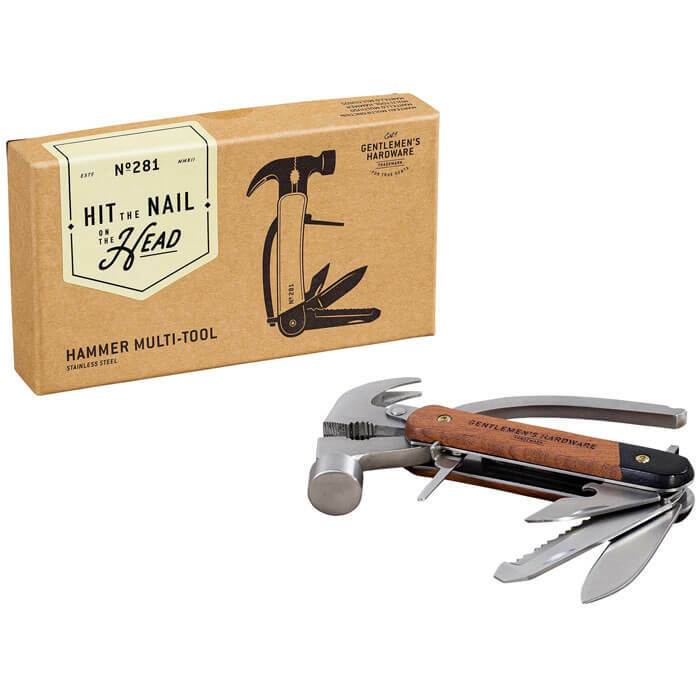 In true Gentlemen's Hardware style, it's a functional tool that's been designed to stand the test of time.